Derek McGarrity and Alan Beattie. Four former Northern Ireland champions are in the line-up for Saturday’s Bishopscourt Rally, the opening round of the 2018 McGrady Insurance series, along with a past Irish national champion. But missing, so far, is the current NI champion Jonny Greer. Derek McGarrity, Connor McCloskey, Denis Biggerstaff and George Robinson are all listed for the Ballynahinch Club’s round at the race circuit near Downpatrick, as is Peadar Hurson, Irish national champion back in 1992. The notable absentee is Greer, but he hasn’t given up hope of being on the start line on Saturday morning with the new R5 Citroen DS3 his DGM team have under construction. “We’re still waiting on parts arriving from Citroen for the new car that we’re building,” Greer explained. “The bad weather last week delayed things but we haven’t completely ruled it out. It was Greer who ended McGarrity’s run of seven Championships when he snatched the title on the final round last season but now he and the past champions have to try to stop the Mossley driver completing a sequence of six successive Bishopscourt wins. McGarrity again fields the WRC Subaru S14 in which he won the early season warm-up event at Kirkistown but expects tougher competition this time from the likes of Hurson and McCloskey in their nimble WRC Ford Fiestas. 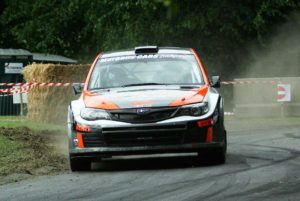 McCloskey, who won the title in 2008, has concentrated mainly on cross-channel rallies in recent times but may stay closer to home this time. 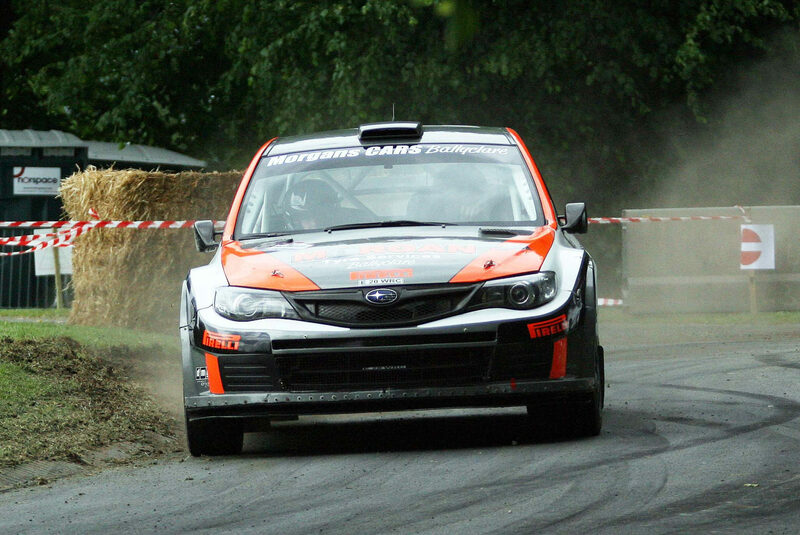 Likewise, Hurson is not committing himself to a Championship campaign but with wins on the Galway Summer Rally and the Donegal Harvest Rally last season, he has to be a major threat even to a Bishopscourt expert such as McGarrity. The top 10 also includes Mark Massey in a WRC Subaru – he was second to McGarrity at Kirkistown – and Alan Carmichael in a WRC Mini, as well as Biggerstaff and Robinson. And slotting in at No.8 is Marty McCormack, who, having seen the British Championship opener, the Border Counties Rally in Scotland, called off this weekend, is heading instead for Bishopscourt in one of the family’s Mk2 Ford Escorts. The six-stage event is scheduled to start at 9.30am.